I saw this wreath on BHG.com. It seemed easy enough... 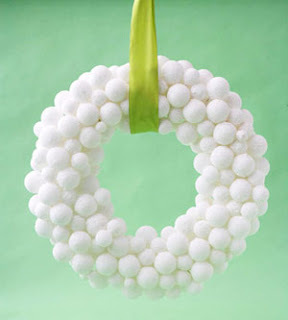 Simply spray foam balls with faux snow, glue to a foam wreath, and hang with a wide ribbon.